Suspect In Natalee Holloway Case Gets 28-Year Sentence For Murder In Peru : The Two-Way Joran van der Sloot, the 24-year-old Dutchman who remains the prime suspect in the still-unsolved 2005 disappearance of Holloway in Aruba, killed 21-year-old Stephany Flores in 2010. Joran van der Sloot, the 24-year-old Dutchman who remains the prime suspect in the still-unsolved 2005 disappearance of Alabama teen Natalee Holloway in Aruba, was just sentenced to 28 years in prison for the 2010 murder of a woman in Peru. 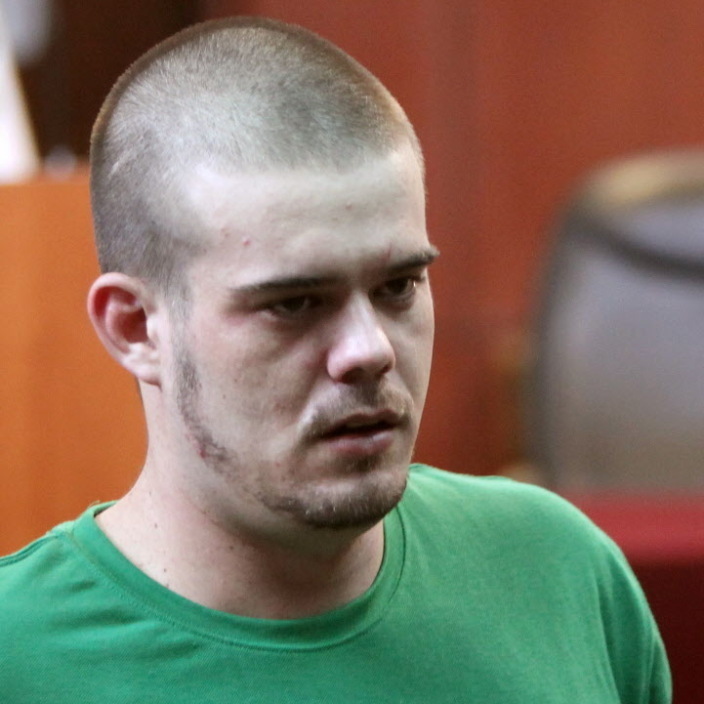 Joran van der Sloot as he arrived in court earlier today (Jan. 13, 2012) in Lima. Van der Sloot pleaded guilty Wednesday to killing 21-year-old Stephany Flores five years to the day after Holloway's disappearance. Prosecutors had asked for a 30-year sentence. Van der Sloot's attorneys, arguing that at the time of Flores' murder the young man was emotionally distraught because of the suspicion he was under in the Holloway case, had asked for a lighter sentence. With credit for the two years he's been in prison, van der Sloot could be released in June 2038, the court said. Flores' family talked about their loved one to CNN's Larry King in June 2010. Van der Sloot has twice been arrested by Aruban authorities in connection with Holloway's disappearance, but has never been charged. Thursday, as Eyder reported, a judge in Alabama signed an order that declares Holloway is dead.